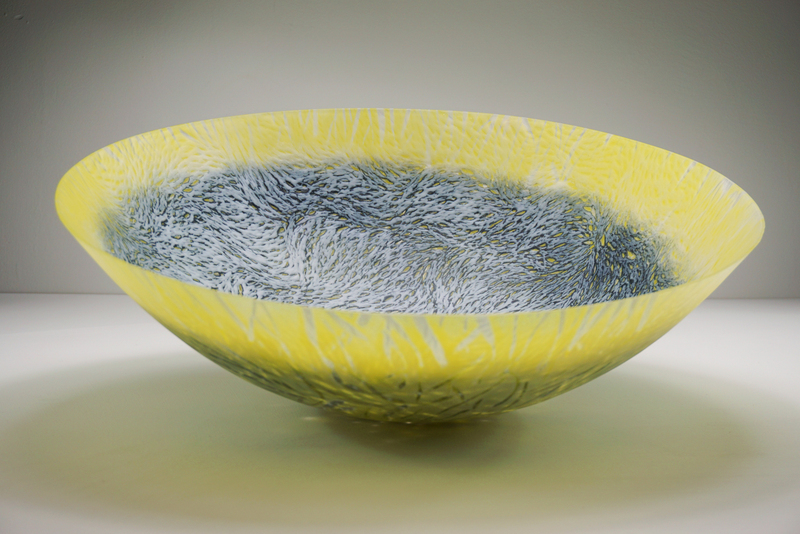 In this 5-day course in kiln formed vessels and glass powders, students will learn to create drop through vessels whilst experimenting with opaque and transparent powdered Bullseye Glass colours to create new tones, subtle colour blending and mark making. 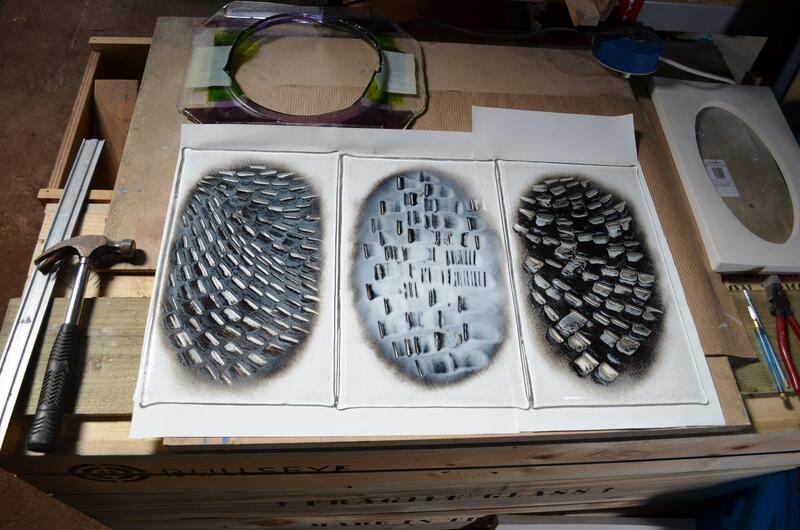 Amanda will teach how to build the flat blanks, taking into consideration mass, heat, time, colour and opacity. A range of mark making, and powder techniques will be taught. Each student will make their own slumping mould from vermiculite board to play with different forms when slumping. The slumping technique used is a drop through. We will look at all the ways to cold work your glass vessel to finish it such as cutting, grinding, hand lapping and sandblasting; all techniques that continue the creative design process in changing the form of the piece to give the vessel an identity. There will be presentations throughout the course of the development of Amanda’s work using this technique. Amanda will give guideline firing schedules for all projects on the course and suggest starting points for larger projects. Amanda Simmons received a Postgraduate Certificate in Glass and Architecture from Central St. Martin’s School of Art and Design in London. In 2005, she relocated to Dumfries & Galloway, Scotland, where she currently lives and works. 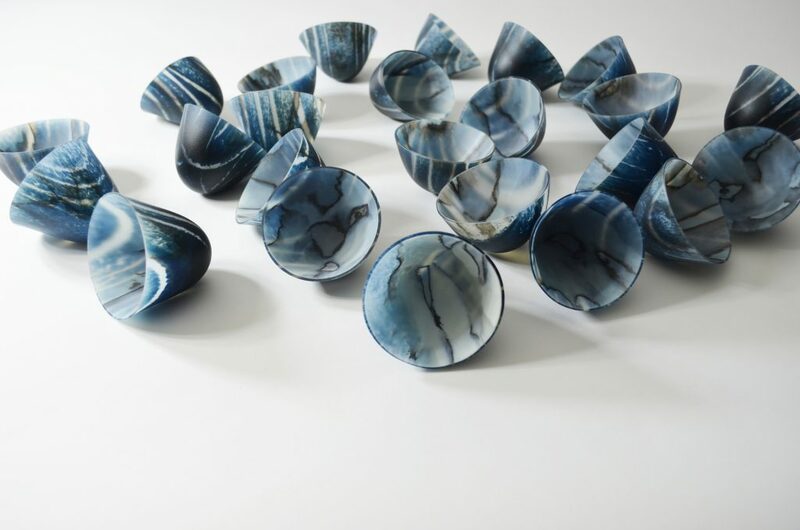 Amanda makes kiln formed glass vessels, playing with gravity in the kiln. Manipulating mass, heat, colour and time she aims to create complex, elusive work that has intense colour and pattern which reacts to the light it is placed in. The pieces are finished using many cold working processes to shape and mark the glass including sandblasting, hand lapping, diamond point and wheel cameo engraving. At least 3 small vessels in varying forms including a slumped blank of one of Amanda’s design and 1 medium sized vessel. A comprehensive set of notes will cover what we learn on the course including firing schedules. Experience with general fusing, slumping and coldworking, no previous powder experience needed . Students must bring their own high-quality dust masks for the course which must be worn for powder work and coldworking.